Ask DST #280: Minimate-ize Me! It’s an all-new Ask DST with DSTChuck! The president of Diamond Select Toys takes on your questions one at a time, one topic at a time, and this week’s topic is Minimates! The 2-inch mini-figures have been around for 13 years, and the list of licenses we’ve made as Minimates is almost as big as the list of those we haven’t! Minimates fans ask about Punky Brewster, Godzilla, The Lord of the Rings, Marvel, Stan Lee and The Fast and the Furious! Read on to see what we’re working on, and what we aren’t! Then submit your own question above, or via e-mail! Hello Mr. Chuck, I got rather disappointed after looking through all the Toy Fair photos of your upcoming products. I was hoping to see new Punky Brewster Minimates. Since this is the 30th Anniversary year, I figured new Punky product would be an easy win. Especially with how similar your Minimates logo is to the Punky titles logo. Any chance we could see a box set of Punky, Henry, Cherie and Betty? There are plenty of secondary characters to fill out another set with Brandon the Wonder Dog. A refrigerator accessory would be awesome. Or maybe you could make the animated versions? The world needs more Glomer. What’s it going to be? Guess we’ll just wait and see. DSTChuck: Rick, at DST we like to say “never say never,” BUT… I don’t think Punky is in our immediate plans, sorry. – Megalon. He featured in his own “Godzilla vs. _____” title! Plus, we have Gigan and Jet Jaguar! That’s like having a peanut butter pie sandwich with no peanut butter! – Anguirus. The first monster Godzilla fought and a long-time pal of his that’d go perfectly with MechaGodzilla as well as the following two choices. – Rodan. Another early first-foe then staunch ally of Godzilla that has as much name-brand recognition as Mothra and is perfect to fight. – King Ghidorah. C’mon, we’ve even seen the design specs at a Con for this guy! He’s GOTTA get made! The original love-to-hate-him Godzilla villain! DSTChuck: I can say on the Marvel stuff that we have not planned out 2016 yet, but I’m not sure if we will be looking in that direction. I think we very well might do a third Godzilla set, but I can’t see us doing a set without Godzilla. DSTChuck: Chris, we did ask Marvel if our rights to the movies did include the characters that Stan Lee has played, and we were told we were not cleared to do product of him, so sorry, it’s a no-go for now. We already have tons of Things, so I figured Doom would fit better. The F4 have a new movie coming on so that could tie in there, the Ultimates wave has mostly the same Avengers from the movies and the X-Men are all big names. Obviously I don’t expect 2 Ultimate themed waves to happen right now, but I’d love to get at least some. Honestly, is there any chance that we’ll be seeing ANY Ultimate mates? Thanks a ton! PS: Any info on when some new Valiant mates will be announced? DSTChuck: I do think we will do several Minimates from Secret Wars, but I do not see us focusing on the Ultimates. Sorry. We have also been asked to stay away from the Fantastic Four for now, so those will not be possible either. Hi! I would just like to thank you guys for working so hard for us! I absolutely love Minimates and have been collecting for a few years now (You can check out my Instagram page REDACTED) I’m a toy photographer and they are amongst my favorites to pose and capture. I have a few questions for ya so thank you for taking the time to answer. 1. Any chance of revisiting the Max Heroes line? Perhaps include a doctor/nurse/EMT set? 2. Being a Minimate collector and toy photographer, I’m always looking for accessories in scale with the Mates. Would y’all ever release a series of accessories? I know quite a few buddies who would stock up on those! 3. Plans on releasing more vehicles? 1. We’d love to, and look for ways to bring them back constantly. 2. We’ve talked a little about that, but I don’t think something like that is coming anytime soon. 4. None of those are planned at this time. Any chance you’d consider doing up a collection of Minimates in honor of the Fast and Furious franchise?? We’d luv to see Paul Walker, Vin Diesel, and many more of the cast. If you do we’re also in to carry them via our store and website runwayzboutique.com. Fingers crossed! And toes!! DSTChuck: Very cool series of movies, but no plans right now to go after the license. Just wondering with all the Black Widow minimates released especially the ones based on Scarlett Johansson. Were the eyes on the minimates are always blue even though the actress has green eyes i think it’s a little interesting as to why that is. Other than that the figures always turn out really great just the eye color thing is the only thing off about them and could make them more accurate if the eye color was the correct color of green instead of blue. DSTChuck: That’s a good question. I always thought they were hazel but I can see green more than blue. Will there be any new Marvel Zombie characters created this year? DSTChuck: Yes, I think the yearly box set will continue this year. Will it ever be possible for you to do more Lord of the Rings Minimates? Either as a completely new series, or as a continuation? DSTChuck: I don’t think this is a property we are looking at, at this time. In the lea- up to the new movies, there was some talk for a little while, but nothing came of it. With your “older” movie Minimates lines (Kill Bill, Sin City, etc.) doing so well, how about considering another property that’s doing well with action figures: Firefly/Serenity. With Funko releasing both their Retro and Legendary line, the time might be right to bring your special Minimates touch to this property. You could even do a Minimates vehicle of a Firefly ship akin to the Enterprise. Please? I absolutely love my Godzilla Minimates! What a great line! Thanks. DSTChuck: Glad you like the Godzilla line. We did some product for Serenity back when the movie came out, but we never did Minimates. Right now, we’re not looking at doing anything with that property. DSTChuck: Right now, no, but with season two greenlit, it might be a direction we look at going into 2016. Hey there! I recently re-read my Young Avengers comics, and it got me thinking how cool a YA wave would be. I mean, you could market it as an Avengers wave and most of the characters look like their adult counterparts, so why not? Oh, and when are we getting more NOW! Designs? I need Moon Knight and the Uncanny X-Men, like, yesterday. DSTChuck: Some cool stuff there, but honestly, 2016 is not set, so I can’t say which ones would happen or not happen. Got a question for DSTChuck? Ask DST via the link up top, or send an e-mail! 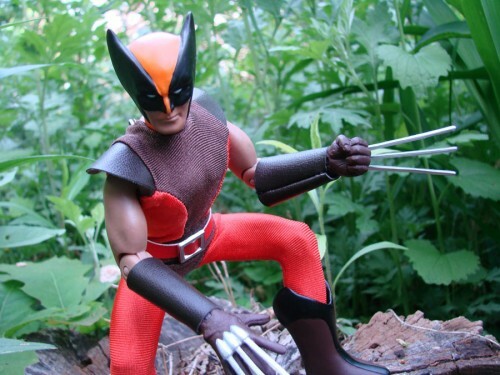 Next Up: DST’s Marvel Retro Wolverine Figure Expands the Original Mego Line! Ask DST #272: Minimate Multitudes! Ask DST #276: Minimates Ahoy!